Many business experts will tell you that inertia kills companies. That the biggest barrier to innovation is inertia – paralysis or passive resistance prevents innovation from getting started. Few companies, if any, suffer from inertia. Executives, managers, and employees rarely are too paralyzed to take any action. They are always doing *SOMETHING* even if only to justify their job. Alas, they are often accelerating the wrong activities and they aren’t doing the right activities well. They spin their wheels like a car stuck in mud. My family hails from Michigan and South Carolina, a state that boasts its own Mud Run Guide. Here’s what I know: when your car gets stuck in mud, you are almost always better off if you stop digging your wheels into the ground and turn off your engine. To get out of a mudhole, you need to add traction or use a winch. In 1999, London Business School Professor Donald Sull also questioned the incidence of paralyzing business inertia and coined the alternative term “active inertia.” Sull suggested that active inertia — responding to market shifts by accelerating activities that succeeded in the past rather than ceasing activity altogether — causes business failure. Sull is partially but not completely correct. Inertia doesn’t kill companies; there is little to no evidence of companies being too paralyzed to take any action at all. And active inertia is rarely a company’s problem; faced with mounting competitive pressure, most companies get desperate and unleash a flurry of new, oft ill-conceived initiatives to try to stop the bleeding. What causes companies to fail nearly every time is crummy (or sloppy) execution. In my humble opinion, the biggest barrier to innovation is EXECUTIONAL EXCELLENCE. The world is littered with great ideas, poorly implemented. Take for instance, Kodak. Contrary to media reports, Kodak didn’t suffer from inertia (“paralysis”) OR active inertia (“relentless pursuit of the tried and true”). The company was never short on new ideas. Kodak developed countless technology innovations over the years including the digital camera in 1975 but they failed to successfully commercialize it. They held $3 billion worth of patents, valued at more than five times the company itself. They suffered from numerous reorganization efforts — CEO after CEO — making it incredibly difficult to implement smart long-term strategy. 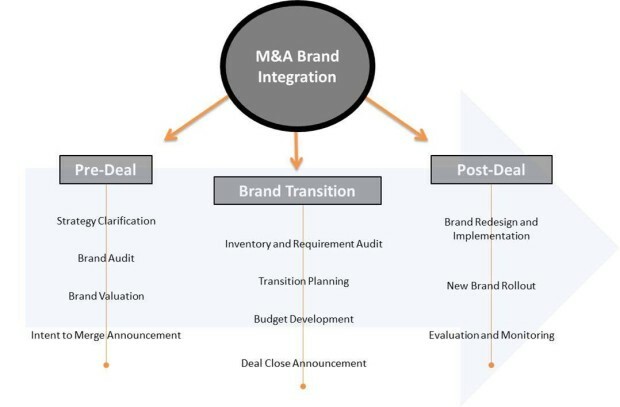 Their eager and rash M&A and alliance deals — from Scitex to Imation to Verizon and Creo — lacked strategic due diligence and led to integration headaches. Kodak was undeniably IN MOTION, spinning its wheels like a car stuck in mud. Are you in an innovation rut? Instead of spinning your wheels and digging a deeper hole, get better at business execution. Create sound action plans but remember that execution and making strategy work is more difficult than the task of strategic planning (developing the strategy is never more important than the results). Hold people accountable, involve the right people in decisions, build “change readiness”, practice the 12 C’s of Commercializing Innovation. In other words: figure out a way to add traction or find a winch. It starts with analyzing and improving your internal innovation processes and your go-to-market strategies. Editor’s Post Script: No intended offense to Dr. Sull. He’d be an excellent thesis adviser were I ever to pursue a PhD. There are more than enough posts about predictions and trends for 2014 out there to entertain your mind. I’m not one to make predictions. I prefer to set the agenda. Two things I will talk about in this post to look forward to the next year: connected experiences and how we think about innovation. While most of the discussion in 2014 will still be around the hot topics of Big Data, The Internet of Things, 3D Printing, and other buzzworthy topics; what holds these things together and can’t be easily replicated is an overall connected experience. Organizations will still look at all of the hot topics as separate pieces, to see how they can integrate them, and this is usually how it starts: you starting testing in isolation until you figure out if works for you. But experiences are more fluid and connected than ever. The recent advances in sync technology that the XBOX One brings to the table is a leading indicator on how devices are connected experiences. You can bring them with you anywhere. And, while tablets and smartphones will become pervasive touch points in those experiences, the human element will not be replaced. People still want to have contact with people, if it makes sense. Amazon shows that they understand this better than ever with their Mayday feature that comes with the newest breed of Kindles. Whether they got it right or wrong isn’t the point. What they are saying is that they want to have contact with customers, and will be available with one click when the customer needs them. This is thinking ahead of the game, and just comes to show how they are “retail”. The conversation about emerging technologies should be around the connected experience and outcomes for customers, not the benefits for an organization. Your point of view should define what to do and what not to do. To look back is to look forward. The saddest thing about 2013 is that the word “innovation” keeps getting diluted. It is now a marketing ploy. Before the end of the year, and every day after that, companies who are serious about innovation should ask themselves this question: how can we be the only ones who do what we do? The answer to that question isn’t about Big Data, or any other “hot topic”, it is about what are you enabling customers to do. How are you transforming them? People don’t remember specific features, they remember the experience had. Companies are confusing a product upgrade with innovation, and to believe that changing one thing is enough to make a splash is short-term-ism at its finest. A recent post on the Wall Street Journal has pretty much put it in perspective how executives are looking at innovation: “something that is innovative to them”. The right way to think about innovation is this: how are we transforming customers? How are we helping them be innovative? This is a different way of thinking about value proposition; it’s about developing human capital. Not simply delivering a product or service “because that is what companies do”. Companies that believe that out-featuring competitors is the way to innovation riches are kidding themselves. You might feel that way in the short term, but you are simply adding more wood to the fire that creates a thick screen of smoke that distracts and annoys people. Customers, people, users, are experiencing more chaos than ever. Too many choices are creating noise in their lives. This is a huge opportunity for both startups and established companies to make an impact in people’s lives. The sooner you rethink how you look at innovation, the faster you will orient your efforts towards really thinking about how you might transform them. To finish, I’ll leave you with this last thought: the more you say you are innovative, the less innovative you are.